My name is Becky Thompson and I’ve been married to my amazing husband Keith since 2001. The only things I sewed for the first 20 years of my adult life were patches on my US Air Force military uniforms and a home dec project here and there. My passion for stitching began watching my mother sew most of my childhood clothing. She was a garment seamstress and did not quilt. She used to say, “Well how many blankets can one person use anyway?” Today, that’s blasphemy to my ears! 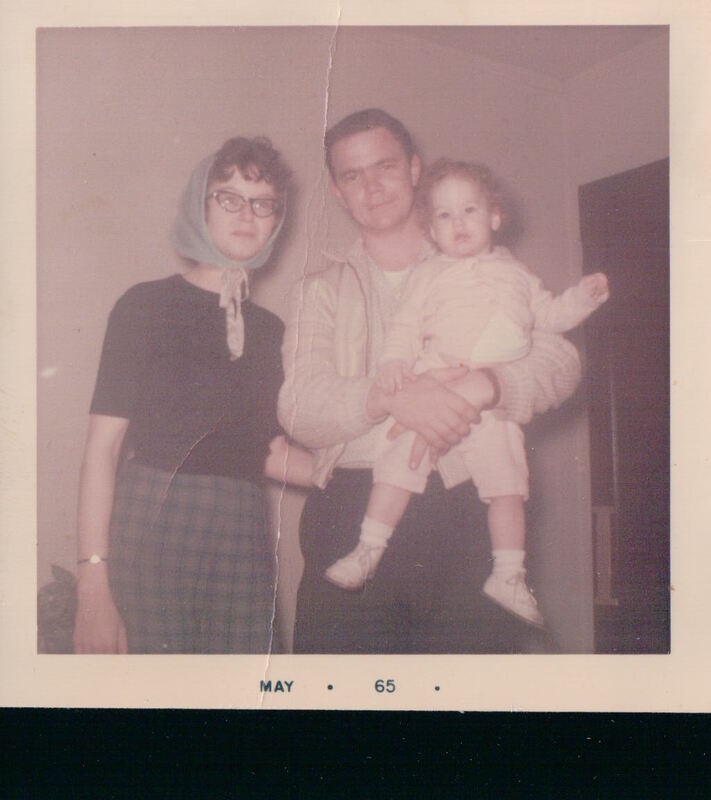 Here is my mom, dad, and me. I crave the ability to create and that doesn’t come easy for me. Unlike my left-handed mom who kept all the artsy-fartsy genes for herself (the Creative Hog) I am unable to create something from nothing. I cannot “wing it”, I don’t get “visions”, and I don’t “feel” creativity. It’s just not in my make-up – I’m not wired like that. I wish I was, and I try like crazy, but I even had a lady come over in 2006 when we moved into our current home to arrange the furniture and decorate. Today, everything is as she left it. I mean I did 20 years in the US Air Force myself so I wouldn’t have to choose my outfits. Seriously. When I did have to buy civilian clothes, I’d find something at Macy’s or Dillard’s I liked on a mannequin and buy the entire ensemble down to the shoes. I figured somebody got paid to put that together so…boom. Also, I can copy like a mad fool. So basically, I’m a Creative Fraud. Now, when I copy most of the time I don’t need a pattern. I can take a photo and dissect the pattern in my head. It’s more analytical than mathematical. 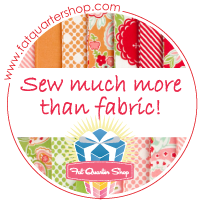 I’m REALLY bad at math – which drives me absolutely insane when I quilt…which is total math. (Measure twice – or maybe three times, and cut once). I make mistakes like it’s my job, and I’m a bit manic or maybe I just get bored easily, so I love having multiple projects going at any given time. It’s not unusual for me to be sewing a something with the embroidery machine humming along behind me and 5-6 quilting projects waiting in the queue. One of my favorite things in the whole world is to spend hours in a quilt or fabric store. I used to joke that my local Hancock’s should have given me my own parking space! I tried like crazy to keep them in business…I really did. I work full time outside the home sitting behind a computer so I spend as many sewing hours as possible at our coastal home on the weekends when we can get down there. I have the greatest son and DIL in the entire world who blessed me with my fabulous grandchildren. God has blessed me more than I deserve. I work hard. I play harder. Why? Because life is too short. I’d love to hear from you (unless you’re a spammer or feeling snarky). And yes, I married the enemy. Hook ’em Horns! Keith and I at a Texas / K-State game in Manhattan, KS. Enjoyed reading this and about your sewing, embroidery and quilting. Thank you for taking the time. Hope you follow me on the journey! Het Becky, love your outlook on life. Been watching your YouTube videos & have a ? On Simply Appliqué what stitches does it use to appliqué. I know it satin stitches but what else? Could you share with me? I’ve found a good price so I’m ready for it. Thxs for any help u can give me. Hi Gerri! Glad you’re here and thanks for watching! I enjoyed watching your quilt room makeover. I have my sewing patterns in the same containers. I was curious, when did you enlist in the Air Force. I joined in November 1973. Hi there! I’m 10 years behind you. I enlisted in Aug 83. So hard to believe how long ago that was. Thanks for watching and reading!